In Columbus, Ohio, many of us spend our autumn Saturdays socializing at tailgate parties, preparing to cheer on our beloved Buckeyes of The Ohio State University. This is a well-known phenomenon, and anyone familiar with these Saturday traditions should not be surprised to learn that the Columbus Buddy Walk® event has a fun, tailgating atmosphere. On one special Sunday in September, instead of preparing to cheer on our favorite football team, we set up festive tents and lay out elaborate spreads to celebrate our loved ones with Down syndrome. 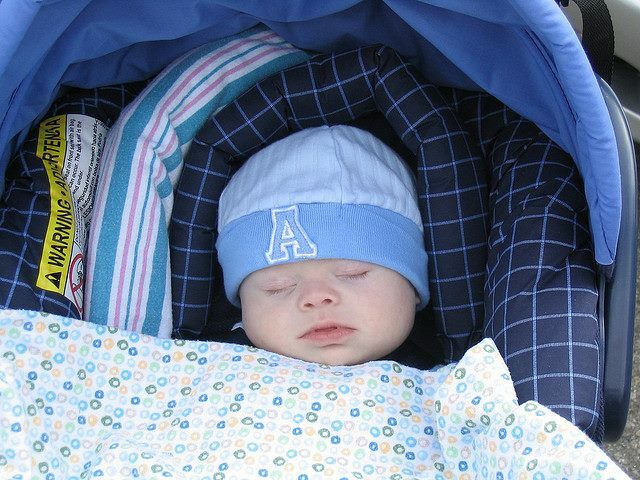 My family became involved with the Columbus Buddy Walk® event when my oldest son, Alex, was just a couple weeks old. I received an email from a dear aunt, who had seen a commercial for the walk on television and wanted to share with me that “Team Alex should be there”. With that message, Team Alex was born; we will celebrate our 12th walk this September. 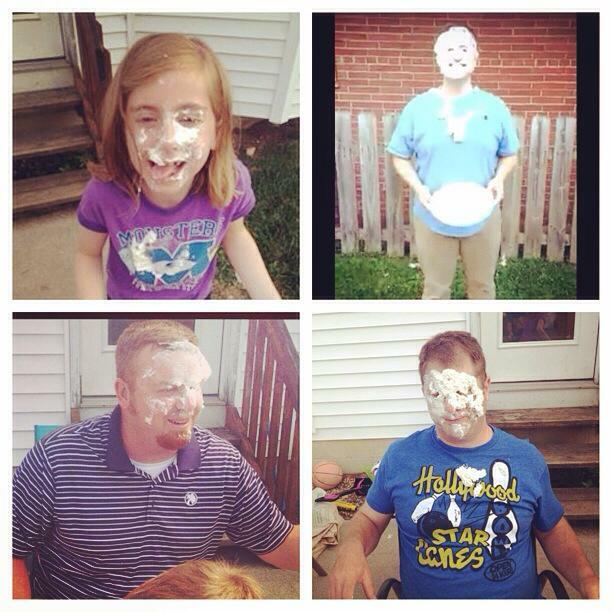 Each year, our family and friends show their support as we begin fundraising for DSACO and try to maintain our coveted rank on the leader board. Having several months to plan team events is such an asset, as this allows us to raise funds for the invaluable programming offered to families like mine by DSACO. We get to have fun playing kickball (the annual Team Alex Kickball Game is held in the summer), throw pies in friends’ faces (the Team Alex Pie Challenge brought in over $500 last year), and join team supporters for dinner (we try to do at least one restaurant fundraiser over the summer), and DSACO can put those funds raised to good work by providing New Parent Packets, recreational scholarships, workshops, conferences, support groups, and so much more. After we work so hard fundraising for several months, we are ready to celebrate the day of the walk! Our team has earned a reserved tailgate space for the last several years (this is just one of the many team incentives we can earn! ), and we set up a tailgate for our team. We provide pastries, juice, and coffee before the walk (we are fortunate that we have found success in having these items donated to our team by local shops), and the kids can make signs to carry or bracelets to wear as we walk. After we stroll through the walk route, there are many activities to enjoy on the stadium plaza. The kids love getting their faces painted and having their hair and nails done, they can get balloon animals, and they can play games. Adults can browse the silent auction items and network with local service providers and other vendors. Everyone can enjoy performances by our self-advocates and hear about the teams’ accomplishments and how the funds will be used as recognitions are made from the stage. One of our favorite parts of the walk is the dancing! It’s difficult to stand still when you could be doing the Cha-Cha Slide with your buddy! Many teams return to their tailgate location for more food and fellowship; last year, Team Alex earned a catered lunch by a local restaurant because we raised over $10,000. The celebratory atmosphere makes the event seem like a big party, one that we look forward to throughout the year. While we celebrate the day of our event as an annual holiday, we know that all the hard work we put into it not only raises valuable funding for local programming and national advocacy, but also raises awareness that individuals with Down syndrome are equal and able participants in our communities. 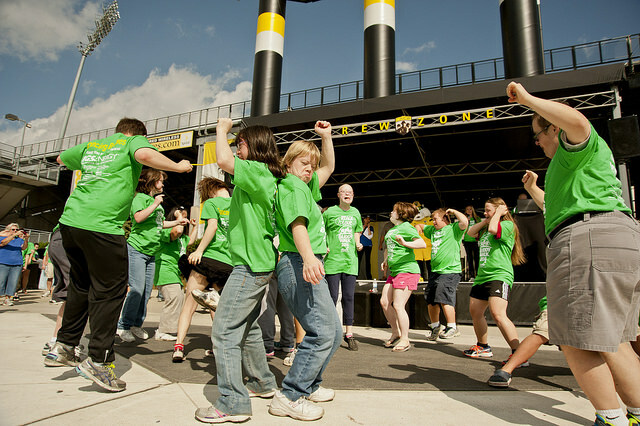 As our event continues to grow and more teams participate, it is easy to see the large impact our Buddy Walk® event has on the Down syndrome community, and even beyond that, as awareness increases in Columbus. I look forward to watching our walk evolve as Team Alex continues to take part in the Columbus Buddy Walk® event. To be a part of the 2015 Columbus Buddy Walk® on Sunday, September 27th, you can register at http://www.ds-stride.org/columbusbuddywalk. 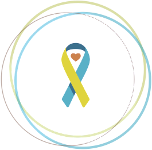 To learn more about the Down Syndrome Association of Central Ohio, please visit http://www.dsaco.net/.